The Role of Social media in SEO is very important and on these websites on which people can connect each other in groups and individually. People have to make accounts on these sites and they can share their views via images, status and videos. There are millions of internet users are spending time on these sites. Facebook, Twitter, Linkdin, Digg, YouTube, Google+ are on the hit list for in popular social media networking. There are a huge number of SEO experts are using social media websites are using in order to get more visitor from these sites. A lot of people are using Facebook and the SEO experts are also using this site for the promotion of their website. They are creating pages of their websites and updating these pages as per they update the sites. Twitter is also a good source to get handsome visitors; they are creating accounts with the names of their websites and trying to create more followers and redirecting the users of Twitter on their own website. The SEO experts are also create the channels of their website and share videos of their twebsite on this site. There are many other website can be used for this purpose, SEO professionals are also using Digg, Linkdin, Google+, Tumbler and many other websites for these purposes. 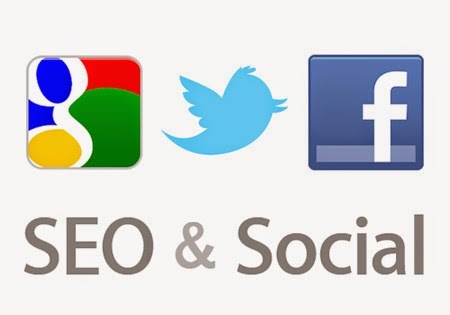 So we can say the role of social media in SEO is very important to get handsome number of visitors. These sites are not only creating visitors but also it is also better to create more back links of our website.